March is National Kidney Month, a time for advocates, health care providers, patients and their families to raise awareness about kidney health and kidney disease. The message can also be an important one for people with gout. Gout and kidney disease go hand in hand. I didn’t know that fact until it affected me directly. Looking back, I realize there was actually I lot I didn’t know about the two conditions that would have such an impact on my life. So, during National Kidney Month, I want to flag five facts about gout and kidney disease that I wish I’d known, and that could benefit others whose health or family members are affected by these diseases. 1. One in 10 chronic kidney disease patients develops gout. I still remember a trip to the emergency room about a decade ago. I was in pain that reached the level of agony. The ER physician couldn’t pinpoint its cause. Then I mentioned my chronic kidney disease. The connection between gout and kidney disease makes sense, when you think about it. With chronic kidney disease, your kidneys cannot clear the blood of toxins that should exit the body through urine. With gout, that uric acid builds up in your joints. The big toe is the most common site for build-up, and for the intense pain that follows. 2. You don’t have to be overweight or unhealthy to develop gout. I was a college athlete. Well into my early 20s, I was toned, energetic and disciplined. But I still developed gout. Popular misconception says that gout exposes an unhealthy lifestyle or weight issues. You must be middle-aged and overweight to develop gout, the myth goes. But that’s not always the case. And that myth can make it harder for people with gout to put a name to their pain, or to seek and receive an accurate diagnosis. 3. That cherry juice is never going to work for you. I like juice as much as the next person. But I no longer expect cherry juice, or any supposed natural remedy, to cure my gout. Why? Because I tried it. I tried everything I could think of, in fact. Cherry juice, apple cider vinegar. At one point I even applied topical muscle rub to my burning toe – big mistake. Ouch. Bottom line, you need proven treatments and a real treatment plan for your gout, and for your kidney disease. 4. You’ll kick yourself for not seeing a doctor sooner. Again, I speak from personal experience here. When I finally saw a rheumatologist and a kidney specialist, the experiences were nothing short of life changing. Here were physicians who saw and treated patients like me every day. Their expertise was reassuring, and their medical insights had me getting my gout under better control in short order. Looking back, I regret only the time I wasted dragging my feet to go see these doctors. 5. Your family and friends play a major role in treatment and recovery. My wife Heather didn’t just give me support, encouragement and a listening ear. She gave me a kidney. Here my story is a little different than some. When my kidneys failed, my wife donated one of her own to save my life. The day she told me, I broke down in tears. The moment was caught on video and posted on Facebook as a way of sharing my grateful news with family and friends. But it caught on like wildfire. Hundreds of Facebook notifications quickly turned into millions. 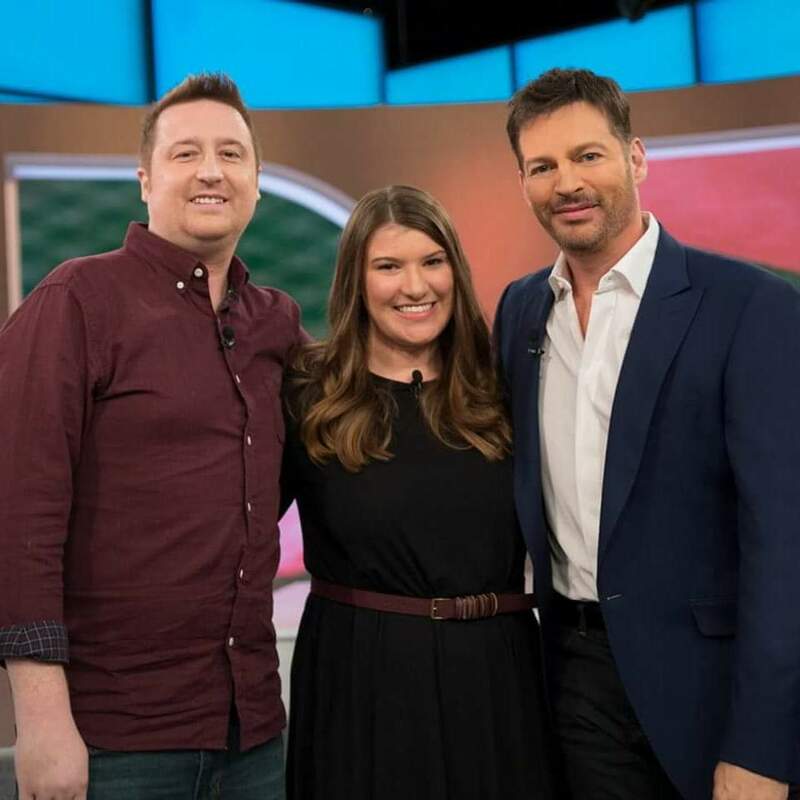 Before I knew it, my wife and I were guests on Good Morning America, the Harry Connick, Jr. Show, CNN, ESPN and Inside Edition, telling our story and talking about the importance of organ donation. What did we learn? Do not let the myths and stigmas of having gout keep you from coming forward and getting help. Gout is a disease, not a consequence. Not all people with chronic kidney disease and gout will need a kidney transplant. But they all will need support from the people in their lives. So, this National Kidney Month, I encourage people with gout or kidney disease to take those you trust into your confidence. Tell them about your struggles and your symptoms. Let me them help you through this medical journey. Steve Winfree and his wife are foster parents in Tennessee. He advocates for increased awareness about living with chronic kidney disease and gout.